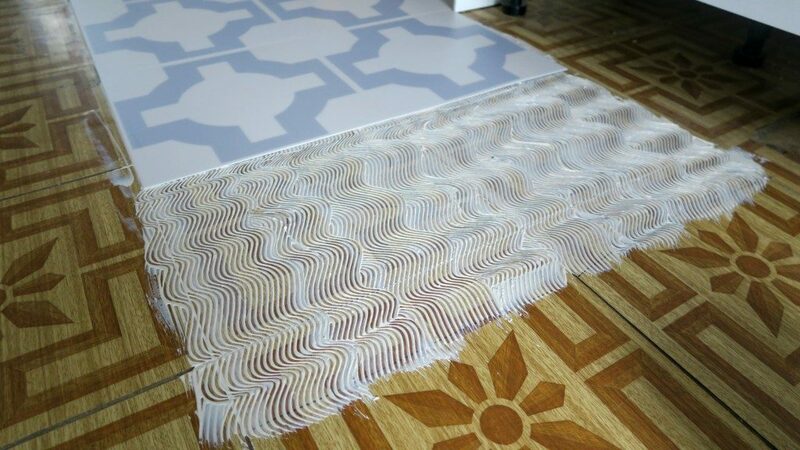 As you can see from my Kitchen Renovation, we have added a very unusual flooring to our kitchen. 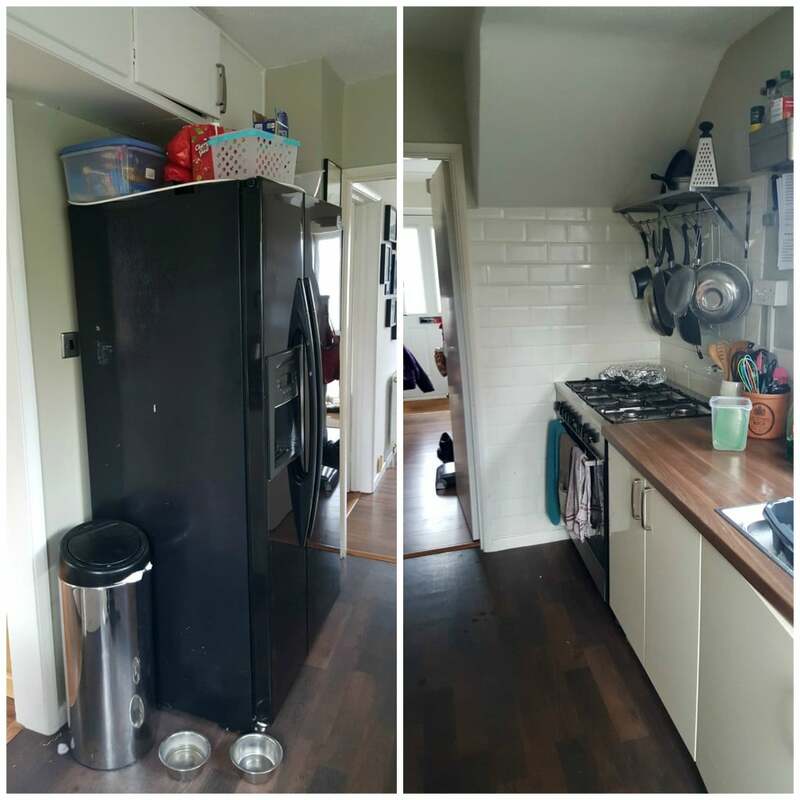 I wanted to add something different to our kitchen, something that would make people look! So I picked the Neisha Crosland’s Parquet collection from Harvey Maria flooring, in Thistle Grey. 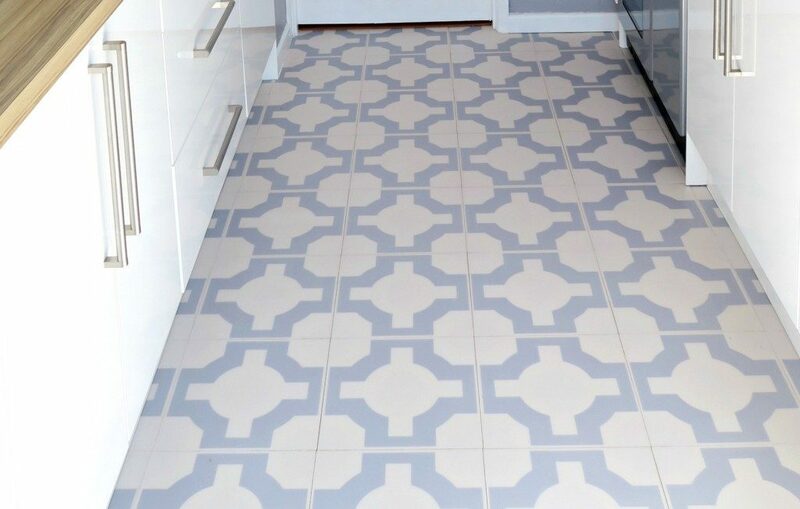 This design comes across as retro style flooring, with a cross design in your chosen colour, back on a slightly off white tile. However, this style tile can be used within traditional or modern interior designs. 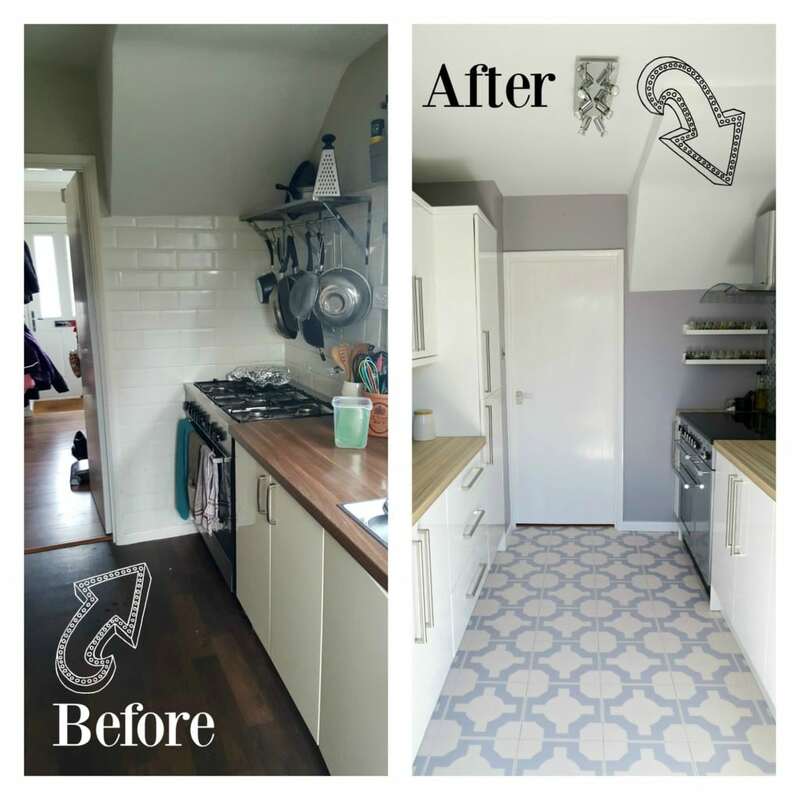 Hubby wasn’t sure when I picked this Harvey Maria flooring, I said for him to trust me……he did and thinks it works really well and I have had some lovely comments since it was laid. I had 10 colour choices to choose from, and Harvey Maria offers 2 free small samples so that made it a little easier to pick. They arrived quickly and I really do recommend you order a couple, as it is so much easier to colour match items and to see how it would work in your house. When the tiles arrived, I was so excited! The quality is fantastic, they are not bendy or flimsy and the colour was perfect. 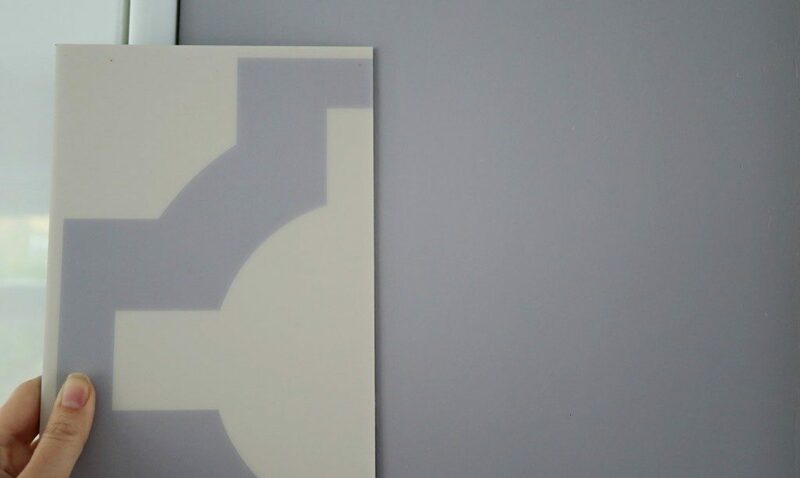 I was able to take one of the tiles to have my paint colour matched from them too. We have had 2 sets of flooring in our kitchen since we had this house. First off was a very retro brown and orange tile, we then covered up this quickly with some brown vinyl flooring. So when we added the Harvey Maria flooring, it instantly filled the room with light and made such a difference. Hubby did the floor laying, and at first, he did find it a little tricky. 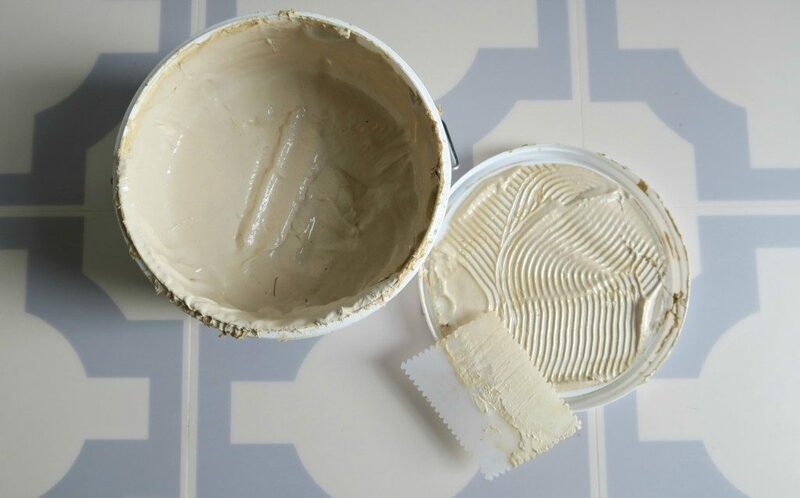 However, he realised that he was meant to leave the adhesive for a while before placing the tiles onto the adhesive. This meant the tiles stayed in one place when laying them! Once he started doing this the tiles went on well, and he quickly laid them. 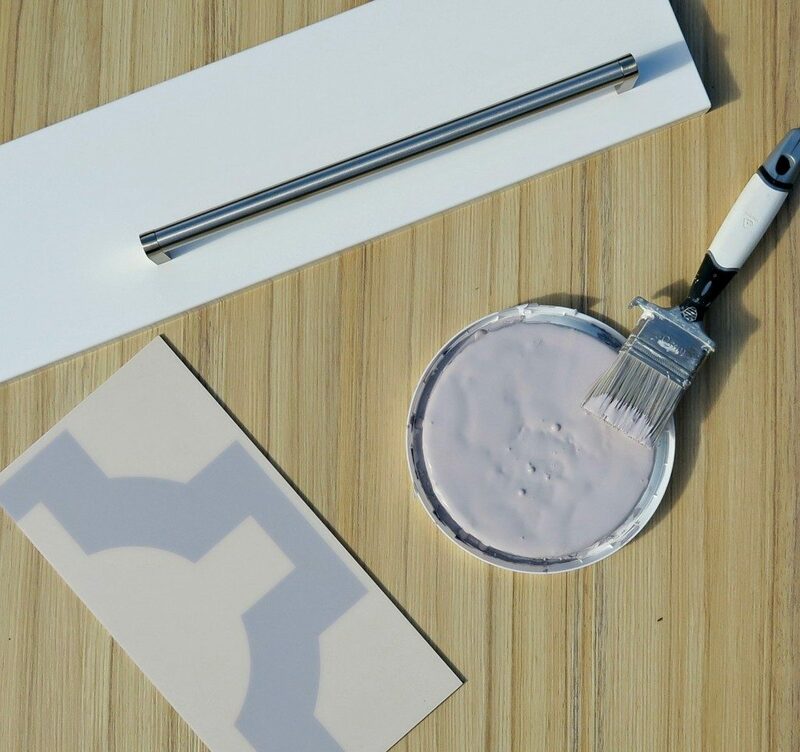 It is best to not walk on them for a while as it can push the adhesive through the gaps, but you can purchase the floor care kit to help with removal of any stray glue. 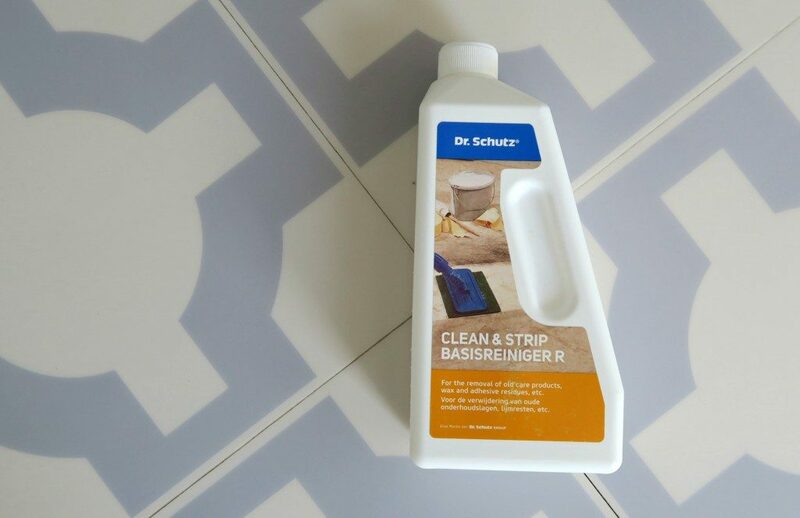 I found this cleaner worked fantastically, got rid of any residue, adhesive and any tough stains on the tiles. 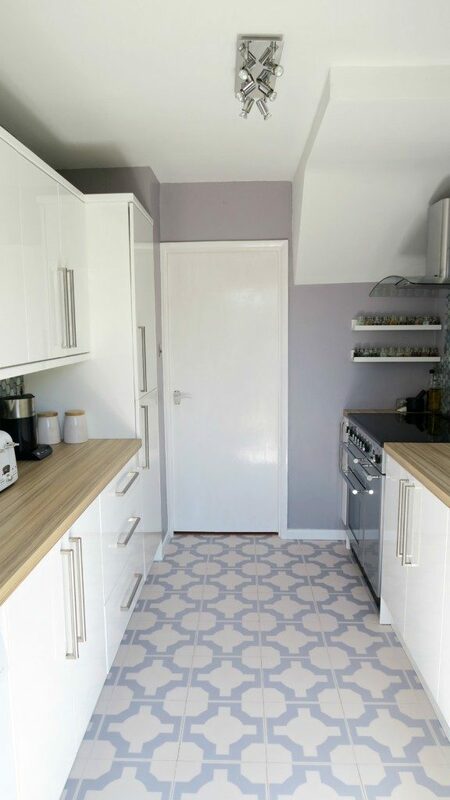 I am over the moon with my Harvey Maria flooring, fantastic quality with a splash of uniqueness and colour, it really has transformed our kitchen. I know this flooring is light in colour, and I have a puppy, AND 3 kids, so I’m really am asking for trouble! However this flooring is so quick and easy to clean, a quick mop over with the cleaner does the job and brings it back to life. Harvey Maria has lots of designs to choose from, take a look at what they are offering as you won’t be disappointed by the quality and service. 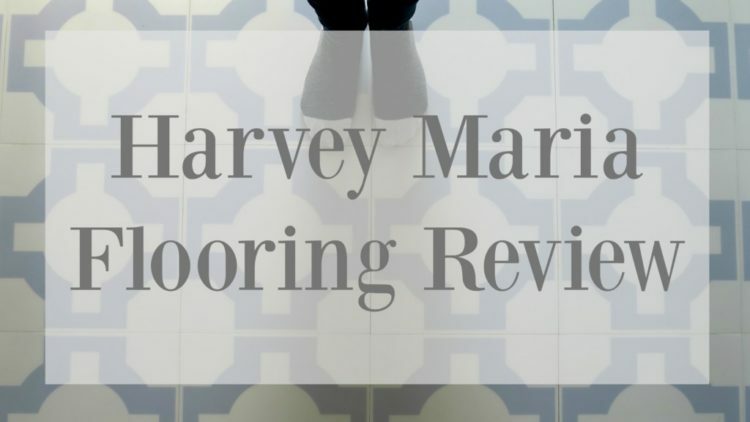 *I was sent the Harvey Maria flooring and floor care kit for the purpose of this review, however, all opinions and words are honest and of my own. More kitchen jealousy!! The flooring you chose is so beautiful! Nice job! It seems to be so easy to do it. Thinking about a change too. Thank you for review!